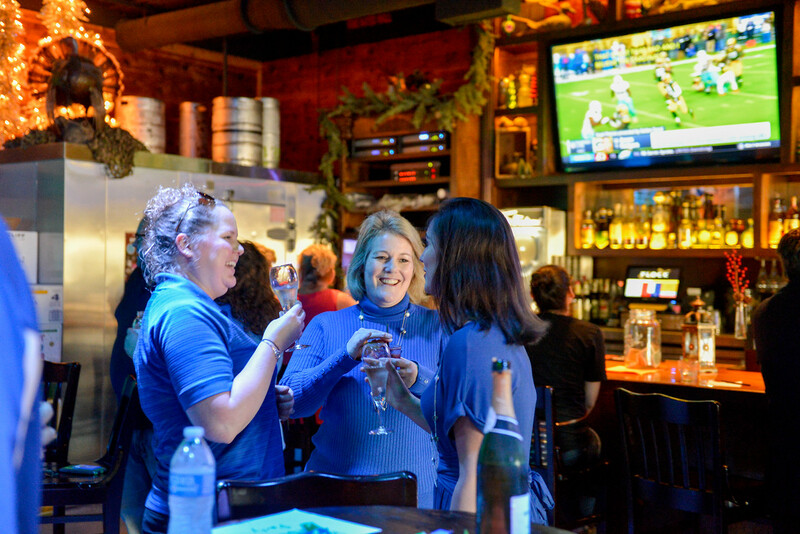 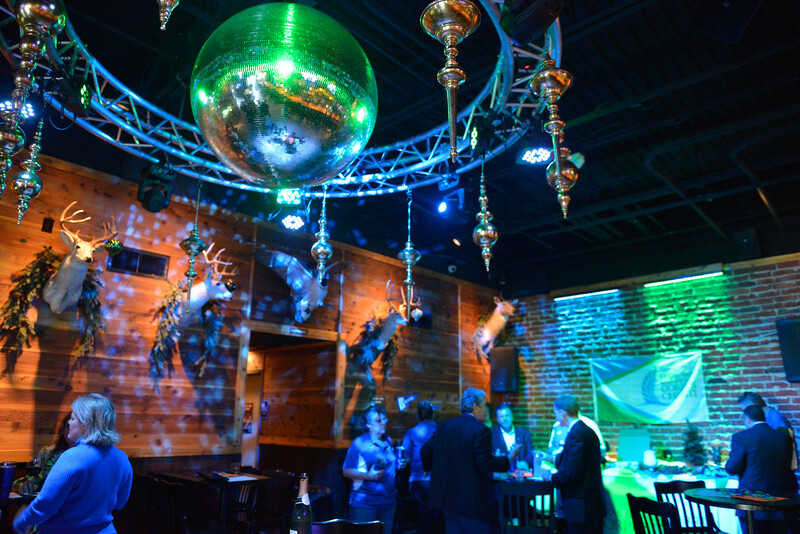 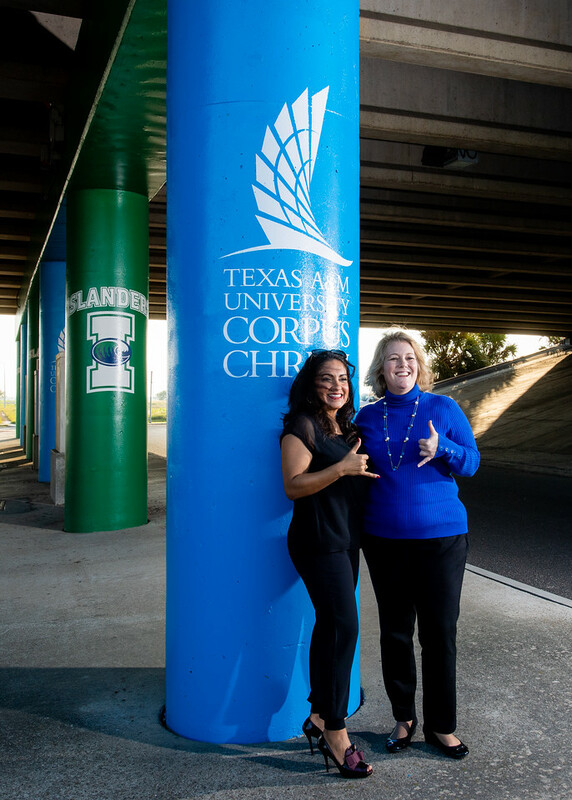 CORPUS CHRISTI, Texas – The Island University is painting the town! 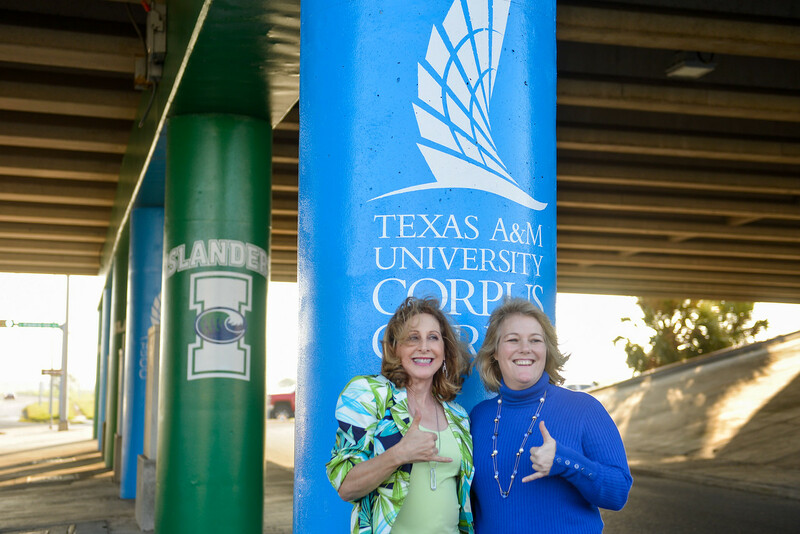 Students, faculty, staff, local residents, and tourists driving to campus are now greeted with Islander Pride at the corner of Ennis Joslin and SPID with the addition of Islander blue and green to the once-grey underpass columns. 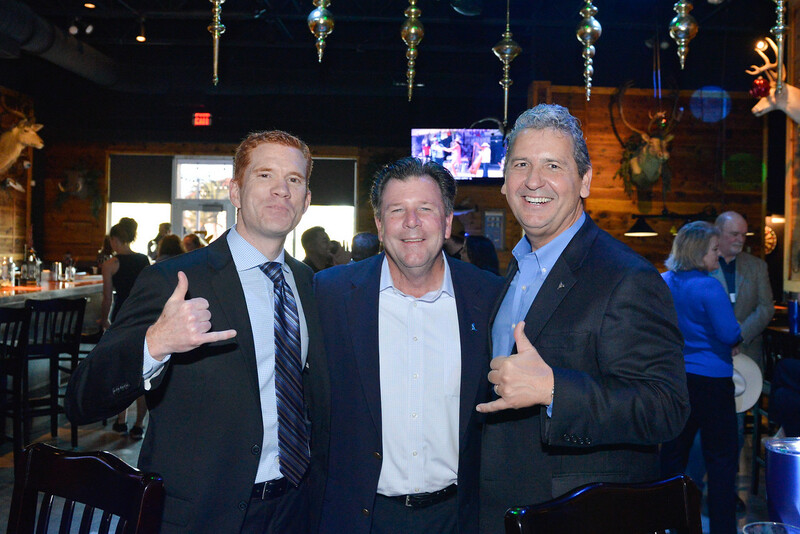 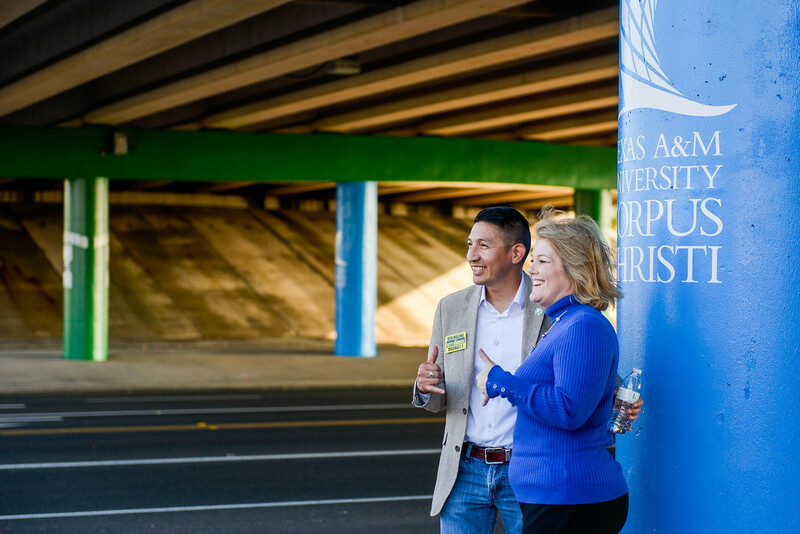 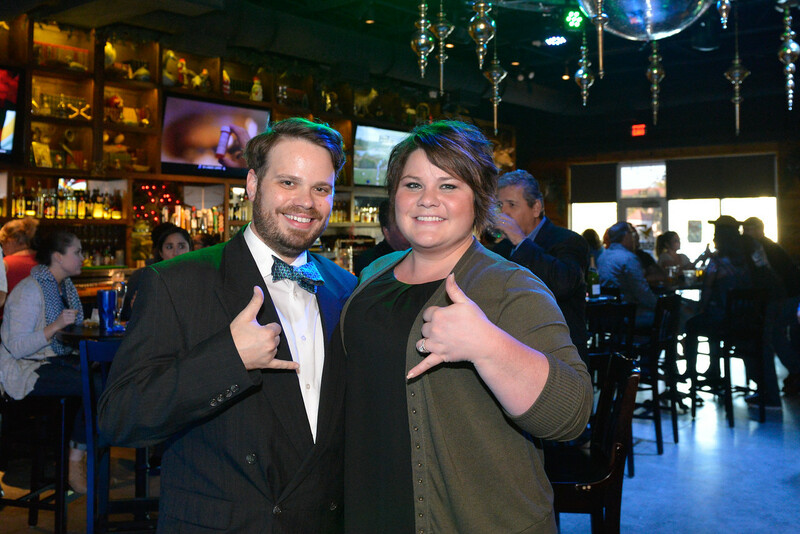 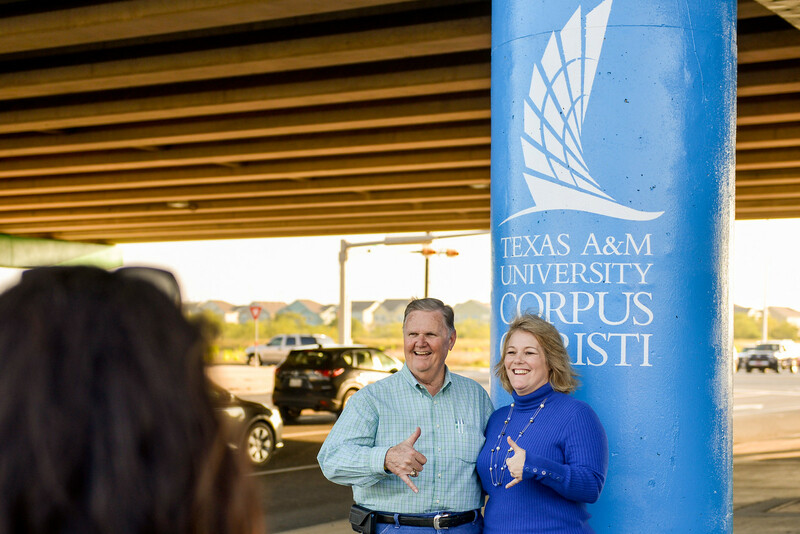 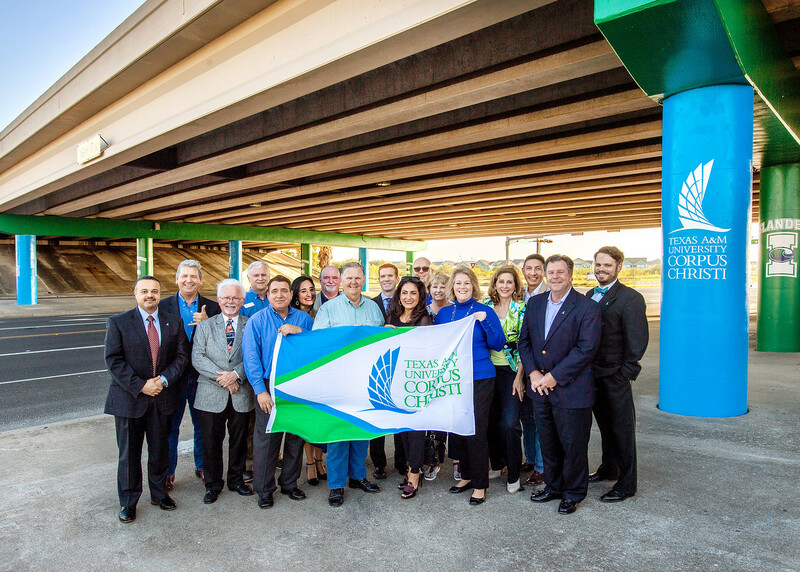 It was all smiles and “shakas up” on Nov. 30 as Texas A&M University-Corpus Christi invited members of Corpus Christi City Council, other city officials and TxDOT representatives to celebrate the collaborative project with a photo shoot. 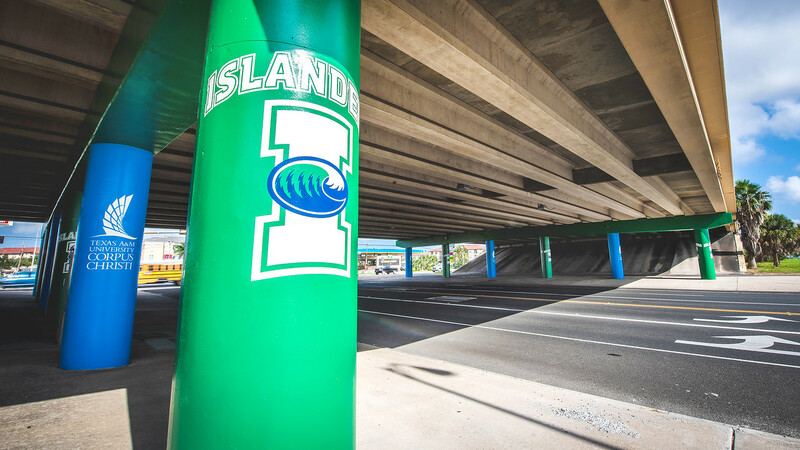 Each of the 12 poles stands 13-feet-tall, alternates between Islander blue and green, and features both the University’s Momentum wave logo and the Islanders Athletics logo. 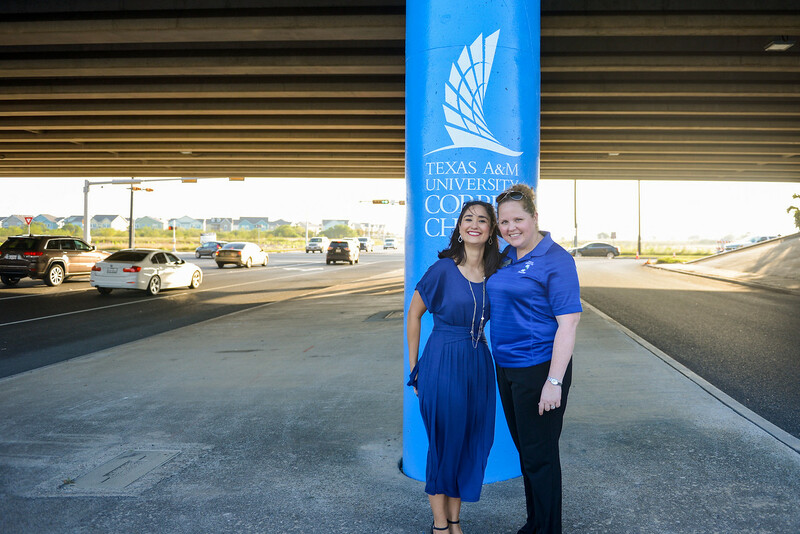 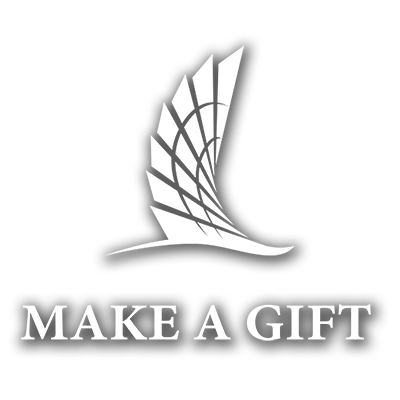 Brainstorming for the painting project began two years ago as a way to promote engagement between the Island University and the Corpus Christi community. 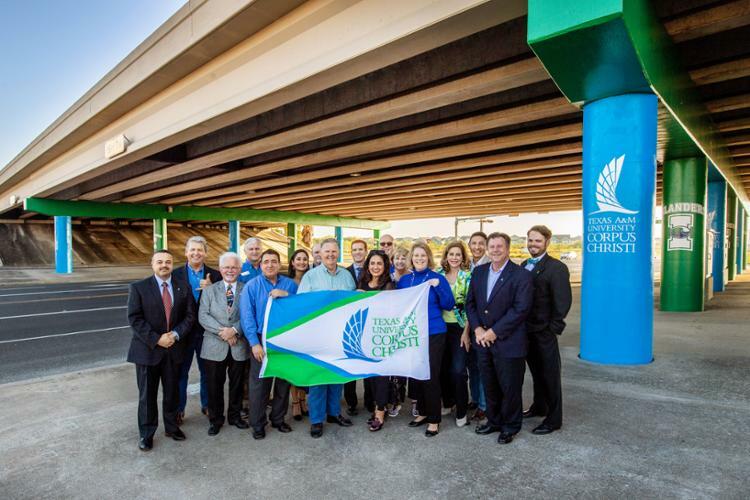 After final approval by City Council on Aug. 14, 2018, work began, and the project was complete in October.